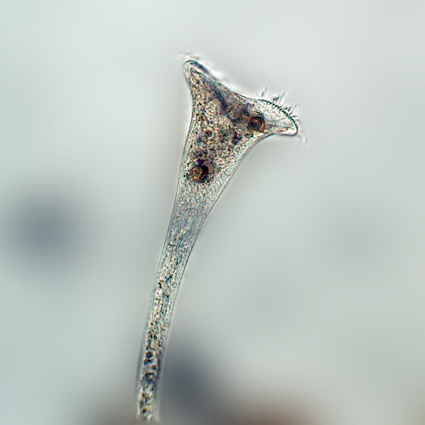 Stentor is a very large (often over 1 mm long), sessile, trumpet-shaped ciliate. It's body is contractile. Sometimes encountered as a free swimming form. S. coeruleus has a beautiful, blue-green pellicle. S. muelleri inhabits a tube.